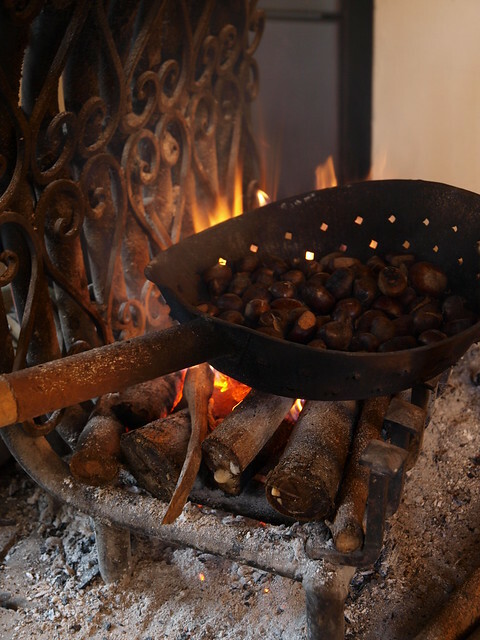 Most people who claim they don't like chestnuts have only tried the rather tasteless and mealy specimens burnt black and hawked on city streets in the US during the holidays. Italian chestnuts, especially those from Umbria, Tuscany, and parts of Emilia Romagna, are a completely different experience altogether. Sweet and smoky, with a creamy texture and a burnished shell cooked just enough to steam the meat without burning it to a bitter crisp, this seasonal delight is occasionally sold roasted but much more often found raw and whole, sold in outdoor markets and from the backs of trucks parked along country highways, ready to be taken home and, well, roasted on an open fire. 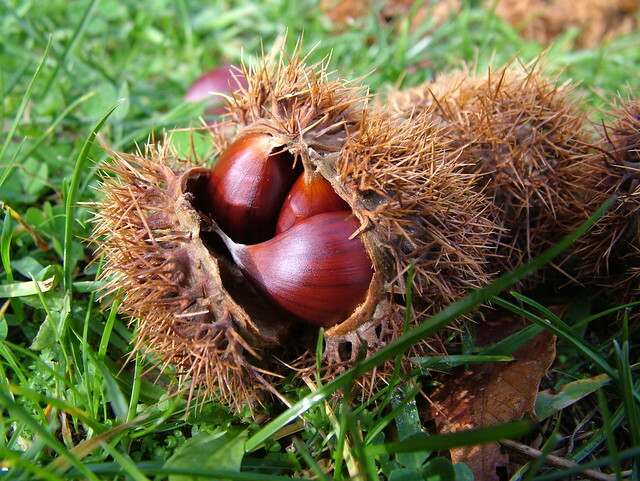 Many Italians pick their own chestnuts from wooded reserves which charge by the final harvest weight, much like the "pick your own" berry or corn patches in the US. Customers carry home their basket of "marroni", score the shells with a sharp knife, and roast the nuts whole in a perforated metal pan over the coals. Once the shells begin to peel back from the steamed nutmeat inside, the cooked chestnuts are wrapped in a large cloth and rolled along the table top to loosen the shells. Many a fall evening is spent in northern and central Italy around the fireplace, peeling piping hot chestnuts straight from the embers and washing them down with the season's new wine. So the next time you're traveling through Italy in the fall, make sure you put aside at least one evening to roast and toast like a local!